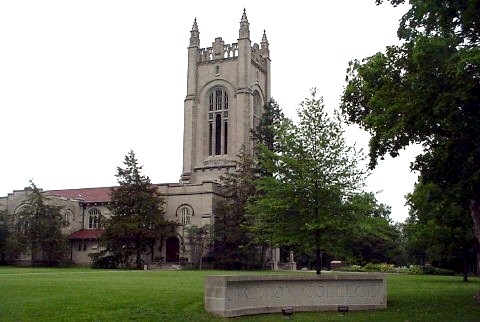 Carleton Catholic Student Association is an ecumenical Catholic-based organization open to the whole Carleton College community that provides a diverse and supportive environment for students to foster their faith. It offers opportunities for students to gather to pray, worship, listen to visiting speakers, discuss current issues, enjoy fellowship, serve others, and educate themselves about Biblical and Catholic Church teachings. It is also serves as a connection between the local Catholic Parish of St. Dominic and the Catholic students on campus. To contact one of the officers, click here. To contact Fr. Denny, the pastor at St. Dominic's, click here. This site continues to undergo changes... Keep on the lookout for events from our mailing list and posters across campus. If you are not on the mailing list, please contact one of the leaders below. If you'd also like more information on religious life in general, please visit the webpage of the Office of the Chaplain. They're even on Facebook! Contact any of us with questions about Catholic life on campus or any of the activities listed here. A blessed Easter season this liturgical year! From 2015 through 2016 year, our universal Church celebrated the Extraordinary Jubilee of Mercy. God's call to live mercy, and respond through our actions, that we may be "merciful like the Father", continues to ring true today, now more than ever. Official information here from the Vatican, and here from the the U. S. Conference of Catholic Bishops.